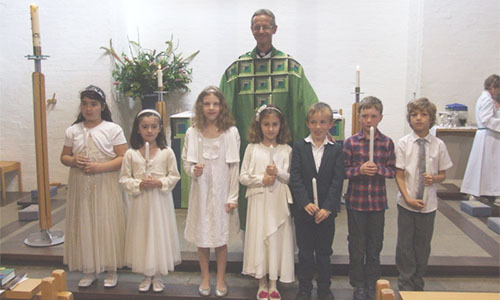 St Mary’s takes seriously the preparation and Service of Admission of Children to Holy Communion. 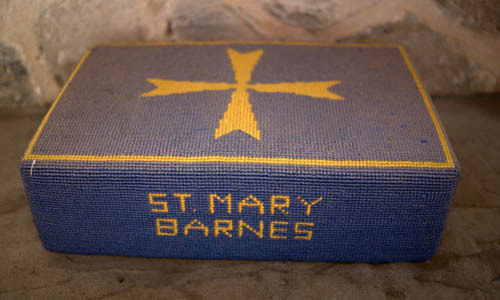 Children aged seven or over prepare for admission by attending a short series of sessions with the priest so they can ask questions and explore their faith. Before they start their preparation, the children are introduced to the congregation to ask for their support. Children receiving communion for the first time play an active part in the service. It is a joyful event for our congregation to celebrate this very important step in the lives of the children of St Mary’s. Once they are communicants, many of our children train as acolytes and help the priest in the ceremonial duties during the services. If your child would like to become a communicant, please contact the Church Office.